After a promising start to the Mets and Nationals series, things quickly turned around for the Mets, as the Nationals would take two out of three from the Mets improving to (25-16), pushing the Mets back 2.5 games back in the National League East division, which is good for third place. The Mets however are tied with the Pittsburgh Pirates for second place in the national league wild card standings. The Mets however have to really be concerned about “The Dark Knight” Matt Harvey on his last two previous outings between Colorado and Washington. With this loss to Washington, Harvey now falls to (3-6) with an Era of (5.77). 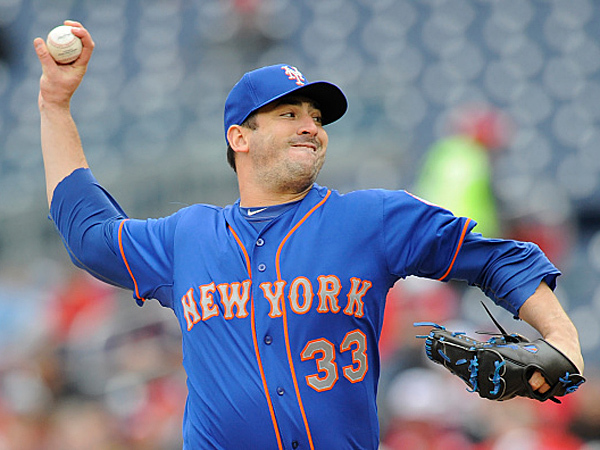 There has to be concern about Harvey, as he would allow five runs on 11 hits in 5.2 innings. In his start against Washington he would allow 9 runs (6 earned runs) in 2.2 innings pitched. Two of the six earned runs came from former Met Daniel Murphy as he took him deep for a two-run homerun. Stephen Strasburg opposed Matt Harvey; this was not the first time these two have matched up against each other. The last time these two met up was in April of 2013 and the fans were chanting “Harvey’s better.” On Thursday it was the complete opposite. The New York Mets will send Steven Matz to the found for the first time since Monday May 9th at Dodger Stadium. Matz had his last start skipped as he was dealing with soreness in his left forearm. Collins says, “we’re be a little conservative, not a heck of a lot, because it hasn’t been that long.” The Mets will then send Jacob deGrom on Saturday, and Noah Syndergaard to wrap up the series against the Brewers before the Mets hit the road. ← Previous Story Giants Draft: Best in Years?